2015: Appeared in 32 matches for Republic FC in all competitions, including 25 USL matches … Scored his first professional goal, a match-tying goal, against Colorado Springs Switchbacks FC on August 14 … Recorded his first professional assist against Real Monarchs SLC on May 30 … Became one of just five Republic FC players to record consecutive 2,000 minute seasons in all competitions. 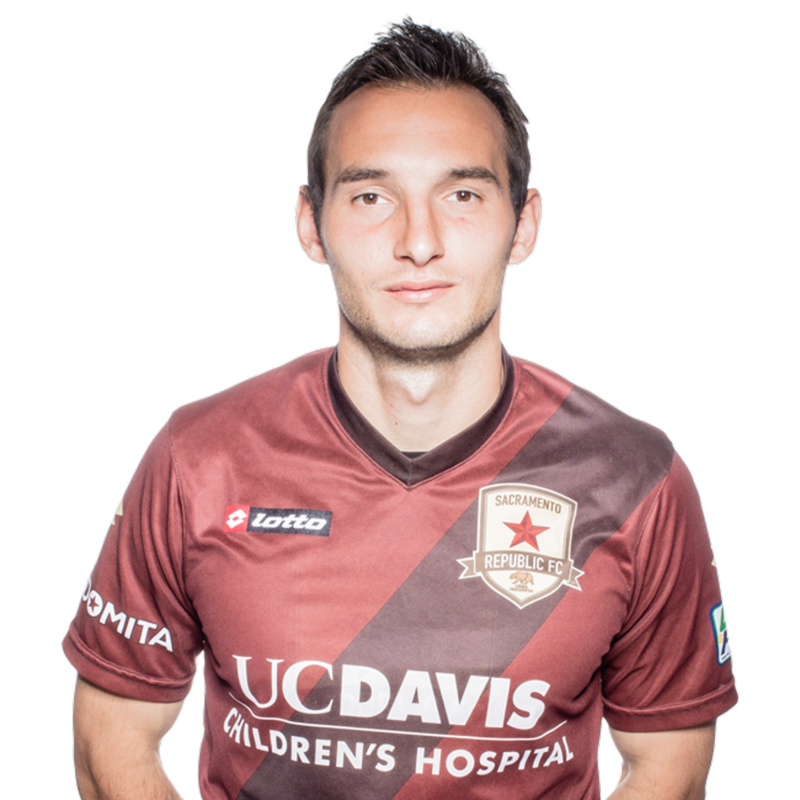 2014: Appeared in 27 matches for Republic FC … Started all 27 matches and played 2,324 minutes, fifth-most on the club. 2013: Signed with the Ventura County Fusion … Appeared in 20 matches. 2013: Appeared and started in 17 matches … Recorded two assists … Was named PacWest Defender of the Year and PacWest Defender of the Week. 2012: Appeared and started in all 22 matches … Scored one goal on the year … helped Fresno Pacific reach the NCCAA National Championship … Was 3rd-Team All-Pac West … Was NCCAA Tournament Defensive MVP … Was named to the NCCAA All-West Region Team. Pronounced “E-von MEER-co-vich” … Has the nickname “Mirko” … Parents Neboja and Sonia Mirković … Has a brother named Milós.